Today marks week 100 of #MakeoverMonday, the Community project. Sometimes I sit back and pinch myself at what it's become. Other times, I stand up and think about what more we could do. Without all of you, this project wouldn't be what it is today. Thank you! To celebrate week 100, Eva and I will be hosting a webinar next Monday and we'll be joined by Andy Cotgreave (yes I know it's week 101). Register here. In this webinar we'll reflect on the first 100 weeks and answer any questions you have. It's going to be fun! In addition, we have two more webinars coming up this week. You can find all of our webinars here. This week, Eva picked something relating to 100. It's quite attention grabbing due to the overall design and color. The big text in the middle catches your eye. Every section is clearly labeled. Underlining each slice with the color it represents. There's no overall structure or order. 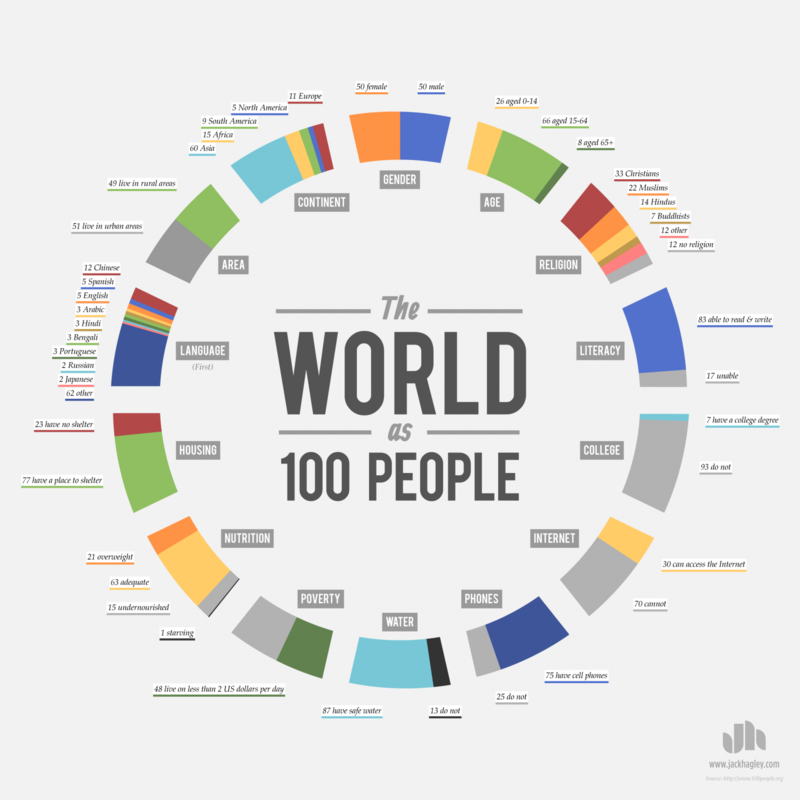 At first glance it looks like a donut chart, but each section adds up to 100 by itself. The grey background behind each section label is unnecessary. Within each section, the segments should be ordered by size.